Israeli soldiers abducted, on Monday a dawn, a young Palestinian woman and a three young men, from their homes in Hebron, in the southern part of the occupied West Bank. Media sources in Hebron said the soldiers invaded the home of Akram Taha Abu Sneina, and violently searched it, before abducting his daughter, Safa’. In addition, the soldiers invaded the al-Fawwar refugee camp, south of Hebron, searched homes and abducted Anas al-‘Absi, from his home. In addition, the soldiers invaded Doura town, southwest of Hebron, and abducted Mahmoud Mohammad al-Hroub, from his home. Another Palestinian, identified as Salem Ahmad Qabaja, was abducted from his home in Tarqoumia town, west of Hebron. 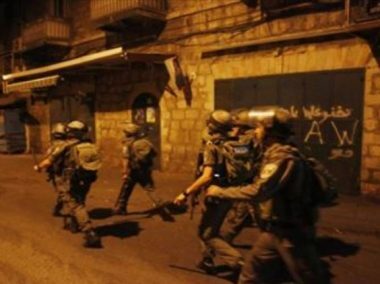 The soldiers also invaded many neighborhoods in Hebron city, and installed roadblocks at the entrance of Sa’ir town, northeast of Hebron, and Halhoul Bridge, north of the city, before stopping and searching dozens of cars, and interrogated several Palestinians while inspecting their ID cards. The soldiers fired several gas bombs, and rubber coated steel bullets at Palestinian youngsters, who protested the invasions and hurled stones at the armored military vehicles. 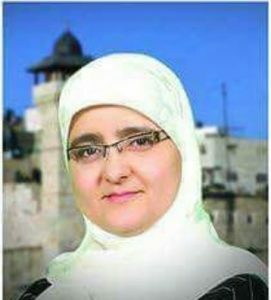 In related news, an Israeli military court ordered Suzan al-‘Oweiwi, 39, a member of Hebron City Council, under interrogation for eight more days, and continued to deny her lawyer’s request to see her. It is worth mentioning that Suzan, who has a Master’s Degree in Institution Building and Development, was abducted by the army on June 6th, 2018. She is also a social activist and a volunteer in advocating the right of Palestinian detainees, held by Israel, in addition to the cause of the refugees and the Right or Return. In related news, the Israeli army said its soldiers arrested thirteen Palestinian, across the West Bank, at dawn, Monday.